Face-to-Face Selling – With up-market, enterprise deals, prospects often expect some amount of face-to-face meetings, and that’s easier being in a specific territory. Coordinating In-Person Meetings – Even with an inside sales team, some companies do quarterly trips to major population centers for relationship building (e.g. hey, I’m going to be in Atlanta next week for two days, do you have time to get together at your office for 30 minutes?). With reps working specific territories, it’s easier to meet with multiple prospects on the same trip. Reputation in the Local Community – Another element of sales territories is to have field sales rep that lives in the territory. By living in a major population center, it’s easier to build a reputation in the community and work through a variety of civic and philanthropic channels to build rapport. Overall, sales territories still should be avoided for most startups. Startups that have significant scale and/or large deal sizes that warrant face-to-face selling are good candidates for sales territories. Otherwise, it’s better to take advantage of the latest sales and marketing technologies to achieve greater levels of sales productivity without territories. What else? What are some more benefits of sales territories in a startup? As marketers look beyond inbound lead generation and become more focused on the account, they need corresponding tools and systems to orchestrate engagement across multiple systems, trigger the right ads to the right people, track behaviors across the account, and understand account-level analytics. Terminus created the FlipMyFunnel movement and is building a large, category-defining ABM company. Now, they have the resources to grow even faster and help more companies achieve ABM at scale. Congratulations to Eric and the entire Terminus team on their next milestone in the journey. Want to learn more? Check out Terminus. Recently I was meeting with an entrepreneur who’s startup is growing nicely. They just raised a round of financing and will be expanding the sales team. After catching up for a few minutes, he asked about implementing sales territories and I recommended against it. Distribution of Best-fit Accounts – While sales territories are often divided based on certain states and their corresponding population centers, in actuality the ideal customer profile isn’t evenly distributed. Apps can automatically find the total addressable market and build smart lists of the best-fit accounts. Having each rep work a set of named accounts ensures all best-fit accounts get worked, not just the best in a certain territory (e.g. 250-500 accounts per rep is recommended). Growth in Sales Reps – As the startup grows, and hires more sales people, territories for existing reps must shrink to make room. Shrinking territories results in disillusionment for the existing reps and creates ongoing realignment challenges. Inbound Lead Distribution – Just as the ideal custom profiles aren’t evenly distributed across territories, quality inbound leads aren’t evenly distributed either. By not having territories, inbound leads can be qualified and parsed out in a more dynamic fashion. Sales territories are a relic of the pre-internet era and no longer make sense for most startups. Entrepreneurs would do well to avoid sales territories and take advantage of the opportunity to target the best accounts anywhere, not the best accounts in a certain territory. What else? What are some more reasons startups should avoid sales territories? Earlier today I had a chance to talk at the Geek Out on Marketing Technology event and one of the topics was MarTech trends. With 4,000+ marketing technology companies, there are a number of excellent trends in the market. Machine Learning – Take large amounts of data and find patterns and actionable insights that just weren’t possible before. Machine learning is the ability for computers to learn without being explicitly programmed. Think of all the applications in marketing from improving campaigns to targeting the best-fit accounts. Account-Based Marketing – Target named accounts with the right message at the right time. With account-based marketing, marketers are able to proactively engage with accounts that haven’t come through the traditional channels. Customer Data Platforms – Marketing is more than campaigns to attract prospects. Marketers are now expected to help guide the entire customer experience from first touch to signing as a customer to renewing at a future date. Customer data platforms pull in data from all the customer facing functions — sales, marketing, support, customer success, etc. — and provide a holistic view of the account as well as next actions to take. It’s a great time to be in marketing technology and look for these three trends to grow in importance over the coming years. What else? 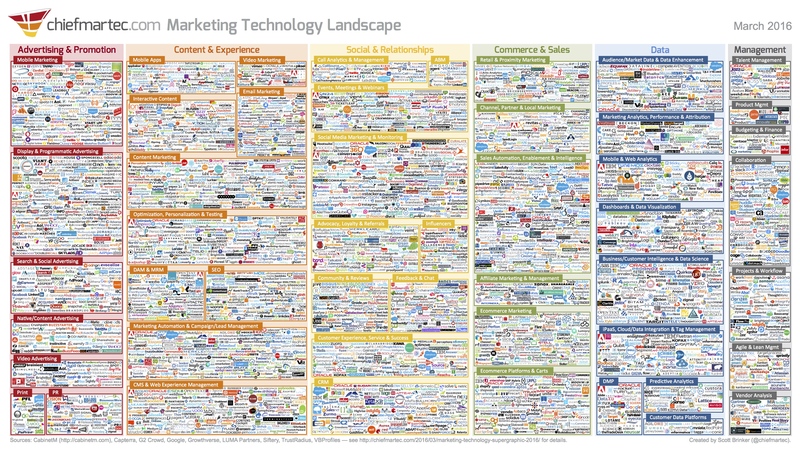 What are some more trends in marketing technology? Create specific content from lessons learned in the disco call. Conduct live (mid-sales cycle) value add workshops with multiple stakeholders. Entrepreneurs would do well to think through their sales plays and work towards an effective, repeatable process. What else? What are some elements of your favorite sales plays? Two Quality Blog Posts Per Week – Inbound marketing works well when done consistently with great content. Want to see an example of great content? Check out Hitenism.com. One Quality Webinar Per Week – Webinars work wonders. At Pardot, we ran a new one every week and they were super successful. Make great slides, get a guest speaker, and run a weekly webinar. One Quality Email Newsletter Per Week – Build a list of opt-in subscribers. Find people that care about quality content and send a weekly newsletter. Need an example? HubSpot has over 300,000 subscribers to their newsletter. One In-Person Event Per Month – People connect with people first, companies second. Run in-person events locally at first and then in major cities around the country. Build a tribe. Find the 1,000 true fans. These four activities are hard to do well. After achieving product/market fit, this approach is excellent to build a repeatable customer acquisition process. What else? What are some more thoughts on these four recurring activities to build a powerful marketing engine?